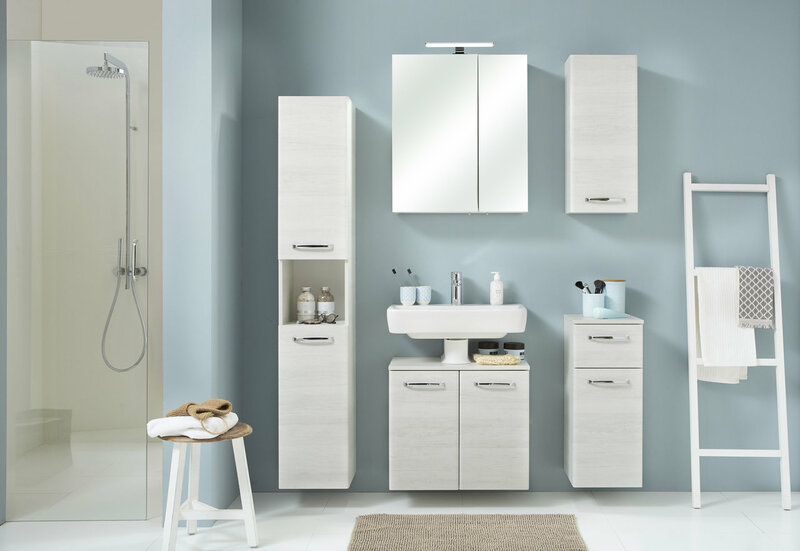 The AMORA range has an almost stately ambience. 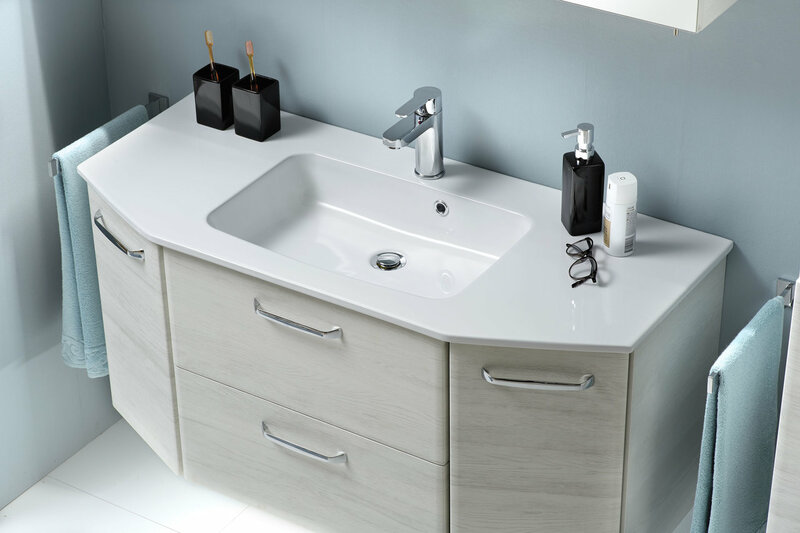 Harmonious in its form, the ceramic washbasin with matching base unit is extremely classy and an eye-catching feature in the bathroom. 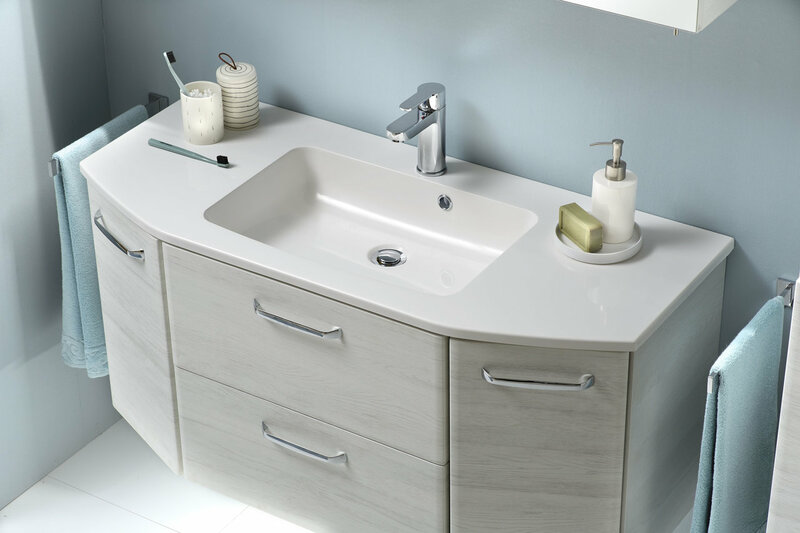 The elegant design is underlined by the bright white oak décor. 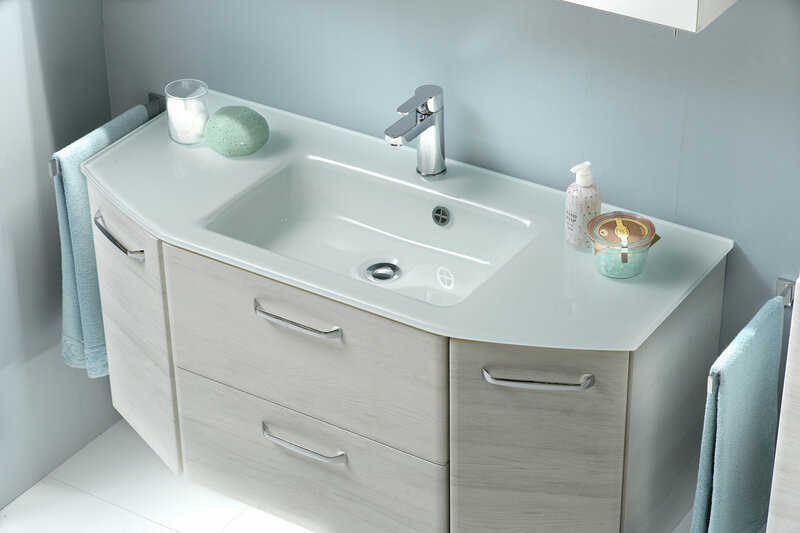 The natural look moreover provides a touch of cosy flair. 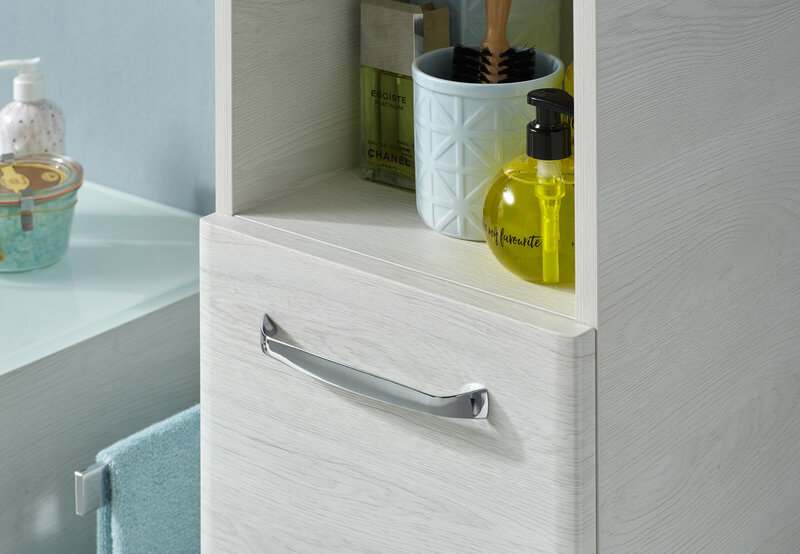 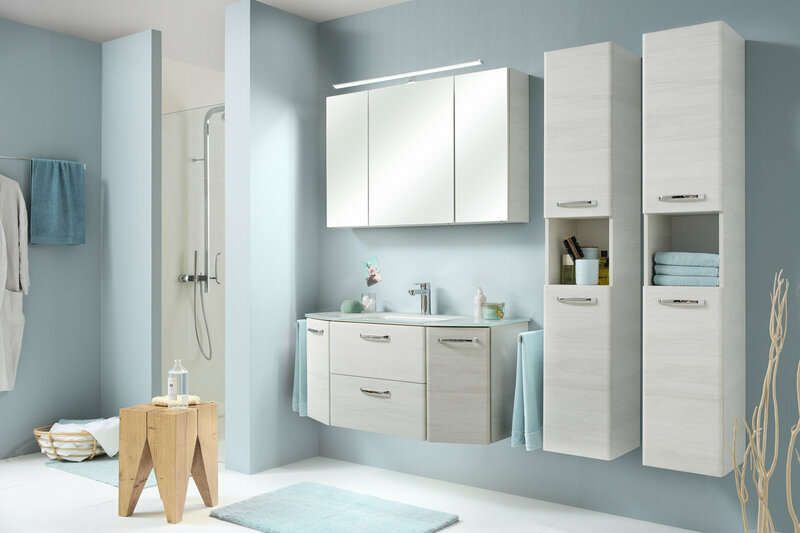 The large washbasin and tall cabinet offer ample storage space - there is room here for every large and small bathroom utensil. 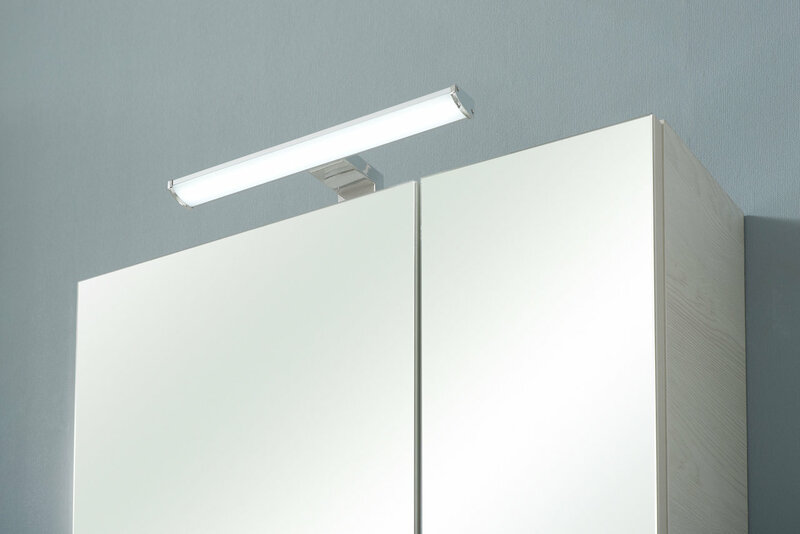 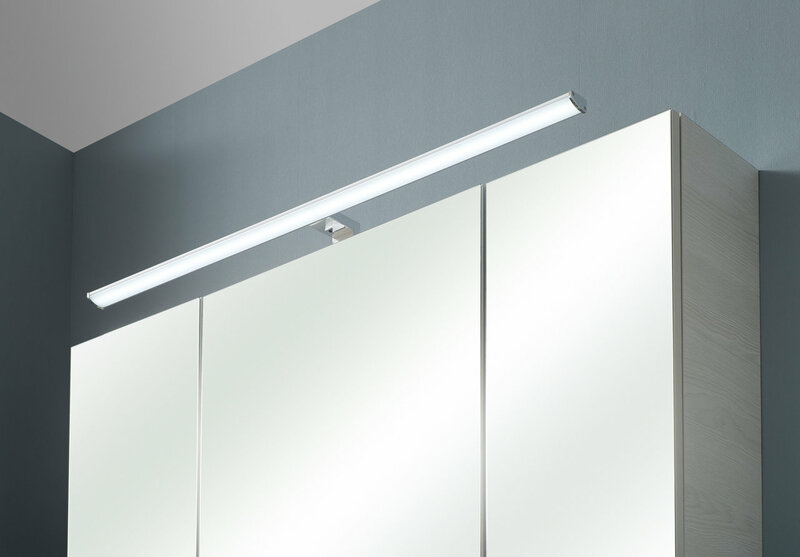 A large mirror cabinet with LED lighting completes the range.